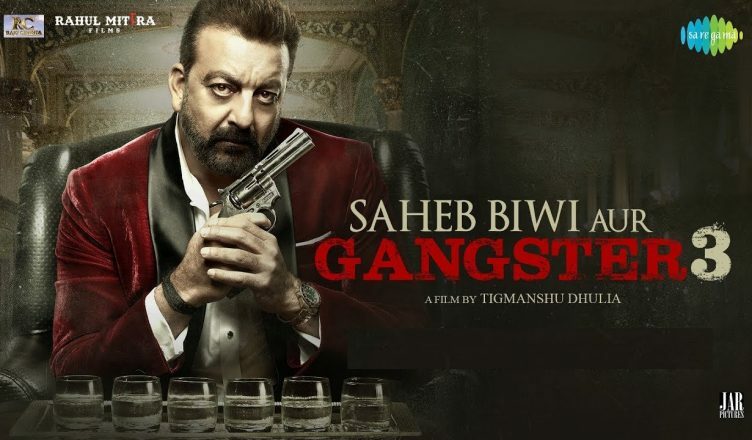 Saheb Biwi Aur Gangster 3 was supposed to go one level up with the addition of Sanjay Dutt. Instead, the veteran actor spoils the franchise as his character is half-baked and anything but interesting. His romance with Chitrangda Singh lacks fizz and hardly serves any purpose to the film’s principle plot. Audiences are never given any details about the back story of his character and the reasons for his misery. Thankfully, the regulars of this series – Jimmy Sheirgill and Mahie Gill – have some fine scenes, electrifying chemistry and hard-hitting dialogues. They save the day to an extent but it’s not enough as the script is weak and the direction goes haywire. It is shocking to know that a film directed by Tigmanshu Dhulia is riddled with abrupt and haphazard cuts from start to finish, tacky VFX and other such technical glitches. Talking of performances, Sanjay Dutt doesn’t give his 100 per cent and it shows. Jimmy and Mahie are excellent and it was great to see the latter after ages. Same goes for Chitrangda Singh. Her entry scene is kickass and it’s so disappointing to see that she is wasted in the film. Pamela Bhutoria who had made a mark in a small role in Kahaani is very good; has an important part. All in all, a disappointing fare!